Are you struggling with your relationship after an affair? If you feel betrayed by your spouse you may be feeling that your life is unraveling under your feet. After an affair you may be feeling hopeless, angry, confused, or alone. If you are suffering after an affair, Dr. Ryan can help. Therapy can be a safe space for you to work through painful experiences and strengthen your sense of self and well-being. You and your partner can work with your therapist, both together and individually, to decide what your future holds, and whether you want to work on reconciliation. You can develop a closer, more loving relationship after an affair. Therapy can help you work through feelings of grief and betrayal to form a trusting, solid relationship. When one spouse has an affair, he or she causes an irrevocable trauma to their loved one that cannot be taken back. That pain must be felt and acknowledged by both partners. 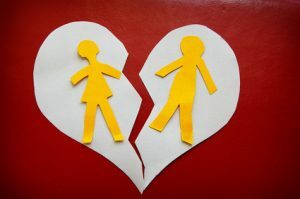 One who commits an affair must be prepared to accept the resulting emotions of their partner and make a full commitment to rebuilding the relationship. At this stage, Dr. Ryan will help you build transparency and emotional honesty in your relationship. An affair is enabled by withholding information. Creating trust means being open with each other and becoming supportive of each other’s feelings and endeavors. The final stage is to commit 100% to your updated relationship and enjoy each other’s presence in your lives. Dr. Ryan will work with you on developing ways to honor and enjoy your new relationship and each other’s presence. After an affair you may feel that your world has turned upside down. Therapy can help you find peace and repair your relationship. Call now, or just fill out the contact form and click Send.